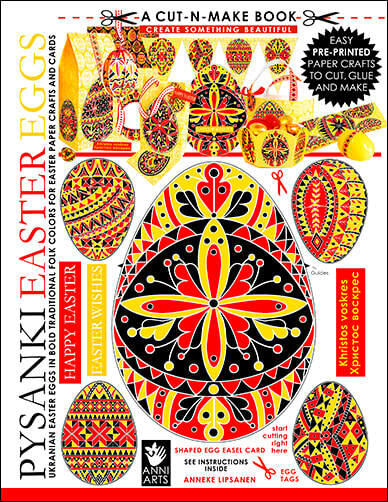 Pretty paper crafts for Easter to color, cherish and display year after year. 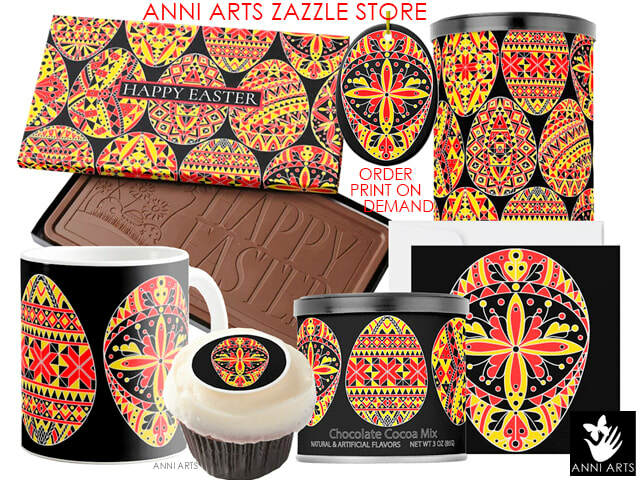 Make art cards to frame or send, festive bunting, 3D Easter egg decorations and egg wraps for heirloom keepsakes. 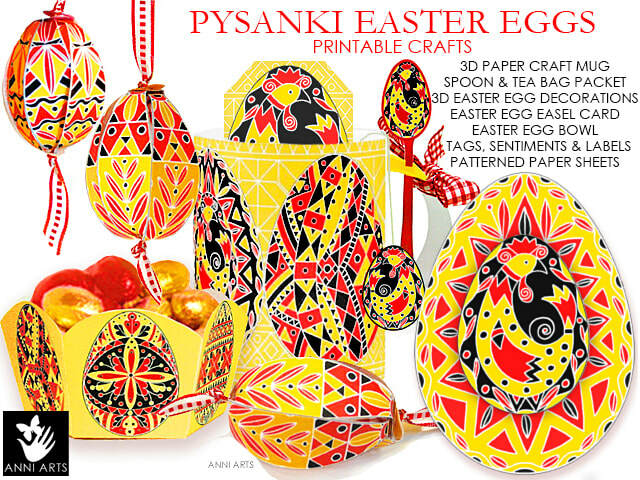 Color the Pysanki egg designs in any choice of colors or use the traditional, bold folk colors of red, yellow and black. The crafts are in black and white line, with some additional card toppers in gray line and a few have pre-filled black areas. The designs in gray line are perfect for coloring in light pastel colors, while the toppers with black details are for quick coloring in the traditional folk colors. Just add yellow and black. 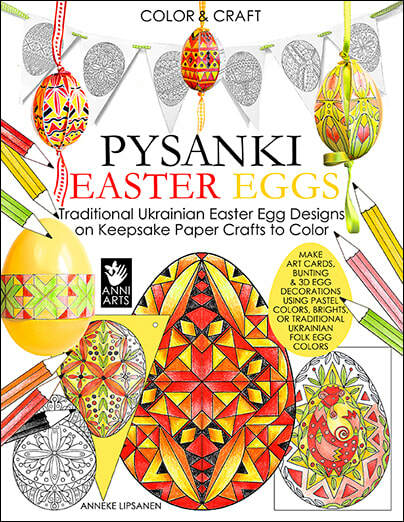 ​There is also a coordinating Anni Arts Pysanki Easter Eggs Cut-n-Make Book, printable Easter crafts and ready-to-buy products that feature beautiful Pysanki eggs in the rich folk colors.